Sandy shores and moist sandy swales. 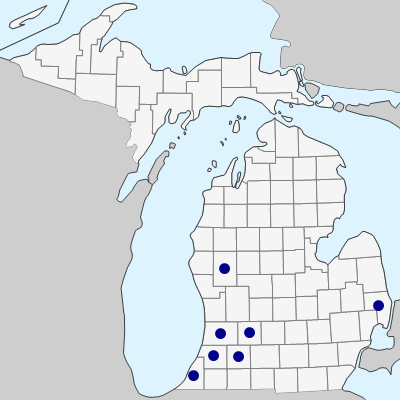 An Atlantic Coastal Plain species, disjunct with other Coastal Plain species at a few inland stations, including the Indiana Dunes and southwestern Michigan, and with an unusual outlier in St. Clair Co. 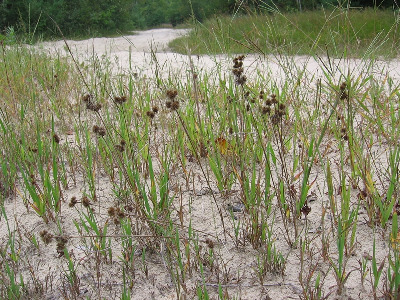 This plant has distinctive small tuberous, short creeping rhizomes. MICHIGAN FLORA ONLINE. A. A. Reznicek, E. G. Voss, & B. S. Walters. February 2011. University of Michigan. Web. April 21, 2019. https://michiganflora.net/species.aspx?id=1520.